Don’t worry! I won’t share every detail that happened in 2018. I would just like to share a few cool missions updates from this year and give you a glimpse of what is coming in 2019. 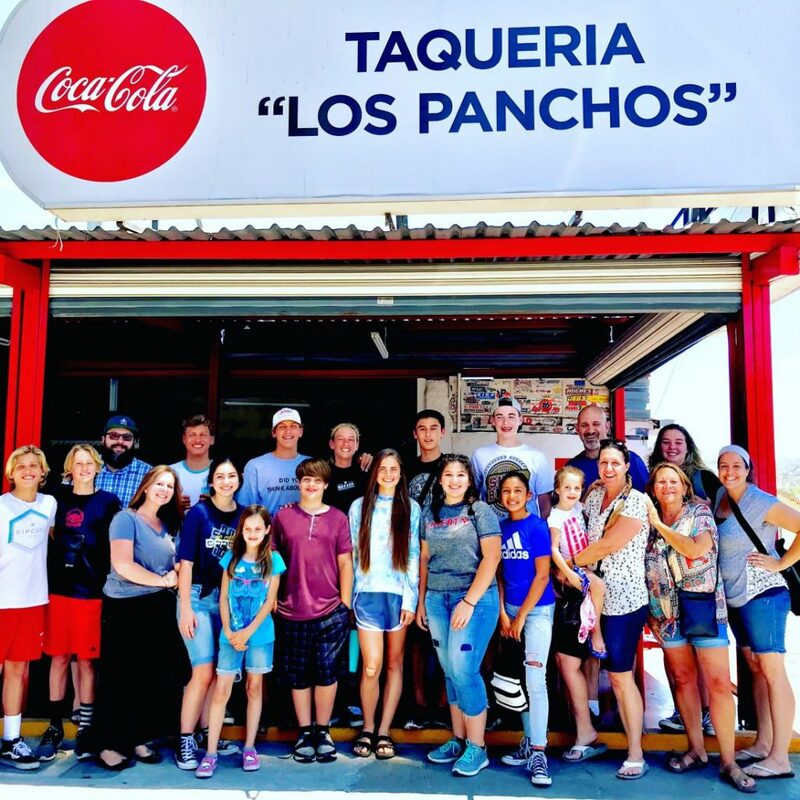 First, over the summer, I was blessed to lead a team of twenty-one (mostly) teenagers down to a special needs orphanage just south of Tecate. This was such a life-changing trip for these teenagers. Not just because it got up to 118 degrees, but because our teens got to push themselves to the limits and serve these special needs orphans as Christ would. Along with the missions trip aspect of this excursion, I also used it as a youth retreat. I was able to share with our teens, along with a few other pastors, about biblical servanthood in the context of fulfilling the Great Commission. In September I was blessed to be invited to teach at the Calvary Chapel missions conference in Thailand. There were about one-hundred missionaries from all over East Asia that attended this conference. One of the coolest aspects of this conference is that the number of national missionaries from these various countries are starting to outnumber the American missionaries. Furthermore, I was also able to bring Nadeem from Pakistan and Pratim and Reuben from South Asia to the conference. Along with our other missionaries from Nepal, this conference was a fantastic time to fellowship with all of our SGWM missionaries as well as other CC missionaries serving in that part of the world. 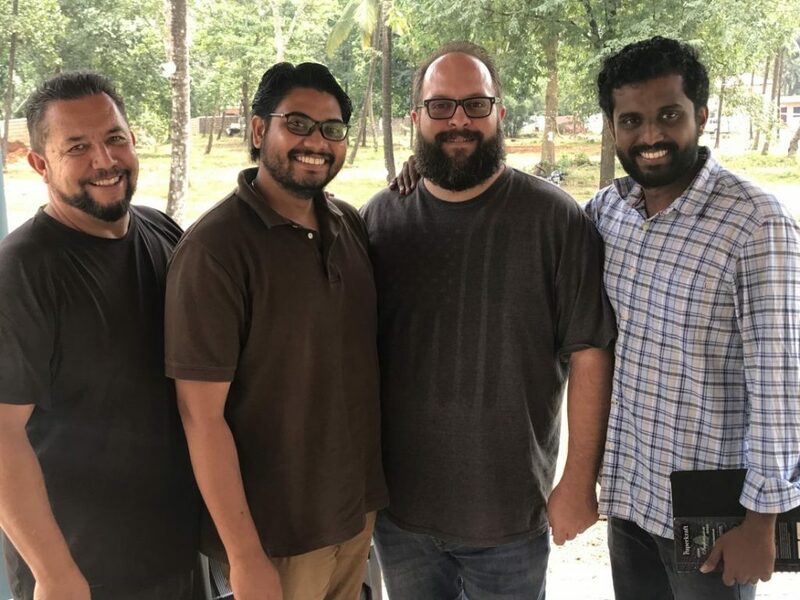 It was also an invaluable time for me to be able to minister to these missionaries and to bring SGWM alongside them to help them fulfill their individual callings. Lastly, I was also able to travel back to South Asia. During this trip, I was able to help establish our Bible College in the north, as well as, teach at a local Calvary Chapel church plant there. 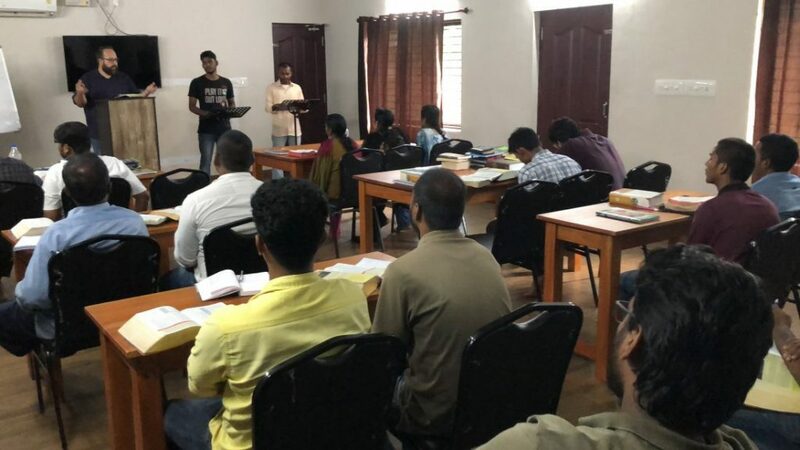 From the north, I traveled down south where I was able to tour our five-acre Bible college property, teach a four-day Inductive Bible Study class, and provide encouragement and pastoral leadership to our amazing staff. Over the past year, we have been undergoing a massive building and remodeling project on this property. The last time I saw the property, it was in shambles and swallowed up by the jungle around it. It was exhilarating seeing the Lord take that piece of property and transform it into a beautiful and thriving Calvary Chapel Bible College Campus. 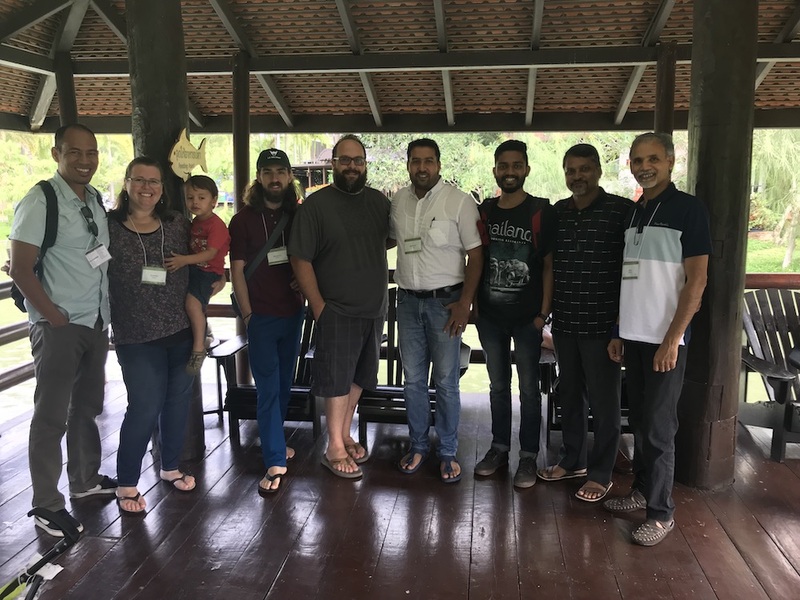 In June, my wife was also able to travel over to South Asia with a team of pastors from SGWM. She was able to visit and photograph all three of our campuses. Furthermore, she was also able to minister to all of our missionaries there and to participate in the grand opening of our southern campus. Each of these trips could function as an individual update as the Lord moved in phenomenal ways during each one. However, in this end of the year update, I only wanted to provide a snapshot of one specific aspect of the ministry that the Lord has called us to. It would take to much space to share about all the amazing opportunities that God has blessed me with in ministering to missionaries in the SGWM home office, in all the special projects that I have been privileged to lead to help further the Gospel around the world, and so much more. I want to close with a vision of what is on the horizon for 2019. First, at the end of January, I will be traveling to Peru and Brazil. The purpose of the Peru trip will be to minister to our SGWM missionaries on the ground there and second to set up all the admin for the youth summer trip I will be leading in June/July. The purpose for the Brazil leg of the trip will be to engage with the Millers and to see their ministry first hand. We will be taking a seven-day trip into the interior of the Amazon jungle where the Millers have been ministering for many years. Next, in March I will be going on a vision tour with a few other missionaries who are praying about starting a work in the country of Jordan. Due to the sensitive nature of the location, I cannot share any more details. However, please be in prayer as Jordan is flooded with refugees from all over the Muslim world and is a launching point for the Gospel into these hostile locations. Then, in June/July, Erin and I will be heading back down to Peru where we will be leading a team of 37 youth and young adults on a ten-day missions trip. We will be hosting a surf camp outreach, multiple VBS’, outreach concerts, and much more. Lastly, I’ll close the year out with a (Lord willing) trip to Cuba in November. I have been invited by a Cuban Calvary Chapel pastor to come and host a training seminar to help equip Cuban national to fulfill the Great Commission. There are multiple Calvary Chapels in Cuba that are longing to launch their people out into the nations and to engage in cross-cultural church planting. Lord willing, I’ll be able to travel down there with Pastor Trent Douglass, and host a missions training conference. God is clearly doing some incredible things and has opened up huge doors of opportunity for my family and me to be engaged in fulfilling the Great Commissions. However, none of this would be possible without the faithful prayer and financial support of my ministry team. Thank you for your prayers and support! Also, if you would like to become a financial partner with me in this ministry, you can do so by clicking on the link below. This entry was posted in Uncategorized on December 31, 2018 by Mike Thiemann. Just like our missionaries abroad we raise financial support for our family. 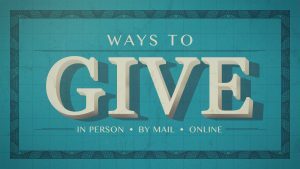 Would you consider partnering with us in the ministry? Many hands make the burden light.